Register directly via email to Tricia Abrigo at mdm@aim.edu or call 02. 892 4011 ext 1851. 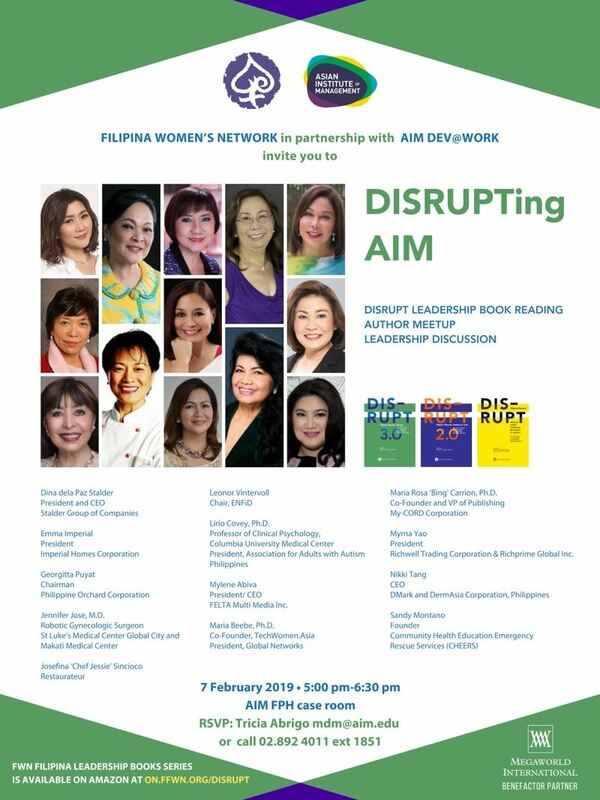 Meet amazing women leaders. Be inspired with heir personal leadership journeys! Scheduled one-on-one engagements and learn how their stories will change your life.